The Picket House Furnishings Charleston Upholstered Queen Platform Bed is a simple and classic, and everything your bedroom deserves! This upholstered platform bed features a high profile headboard and low profile footboard. 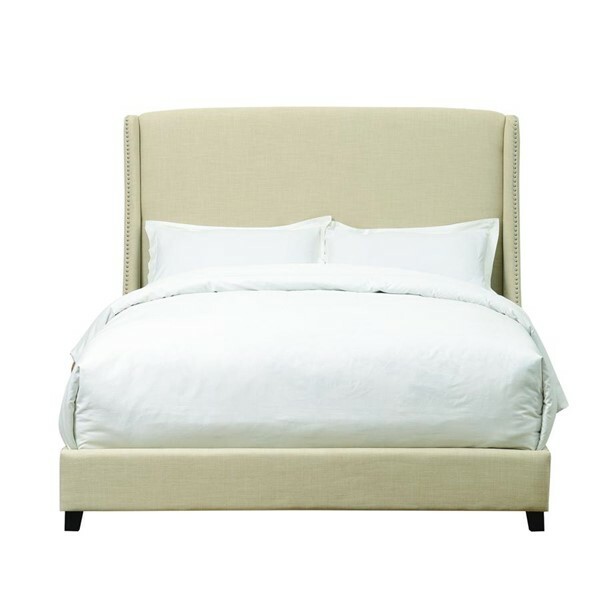 The wing back style headboard features silver nail head trim along the edges, giving this upholstered bed a little something extra. The Charleston also comes equipped with euro slats, so no box spring is necessary here; go ahead and throw that out. Dark espresso, wooden feet complete the look of this upholstered platform bed. Footboard Feet Height : 4"